The first thing we had planned was our rescheduled Malibu Stars Homes Tour from the previous day. 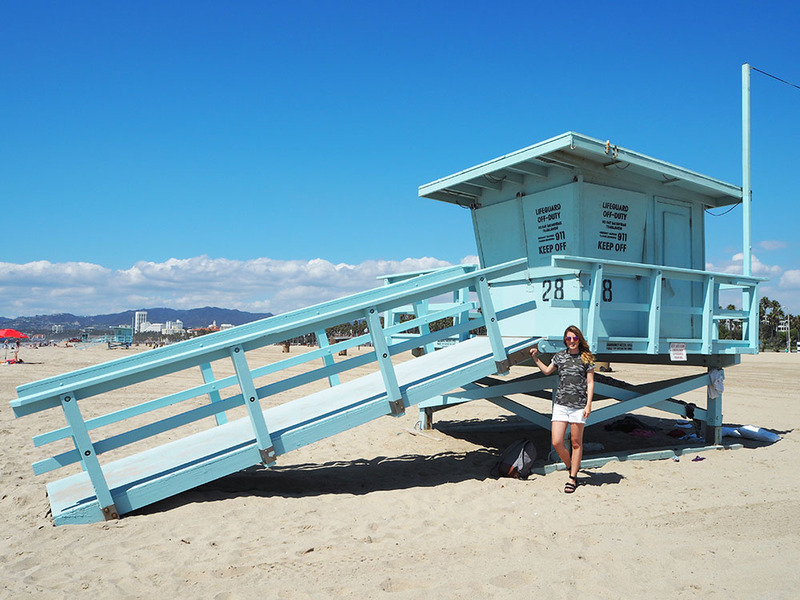 The tour ended up not being so great, if you’re thinking of doing this tour with Starlines, I wouldn’t waste your money, you don’t see very much and the ‘Malibu beach stop’ is on the edge of the road on a tiny strip of the beach for about 5 minutes. 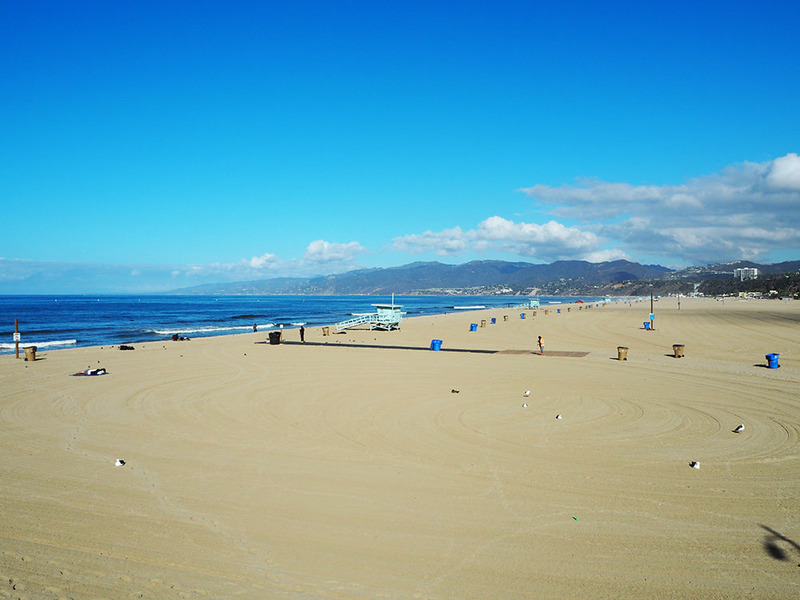 If you really want to see Malibu beach and the big houses, hire yourself a car for the day and drive yourself along the Pacific Coast Highway, then stop off at Zuma Beach, just along from the main Malibu beach area. And for an extra bit of star spotting, apparently the Malibu Country Mart is a good place to go! 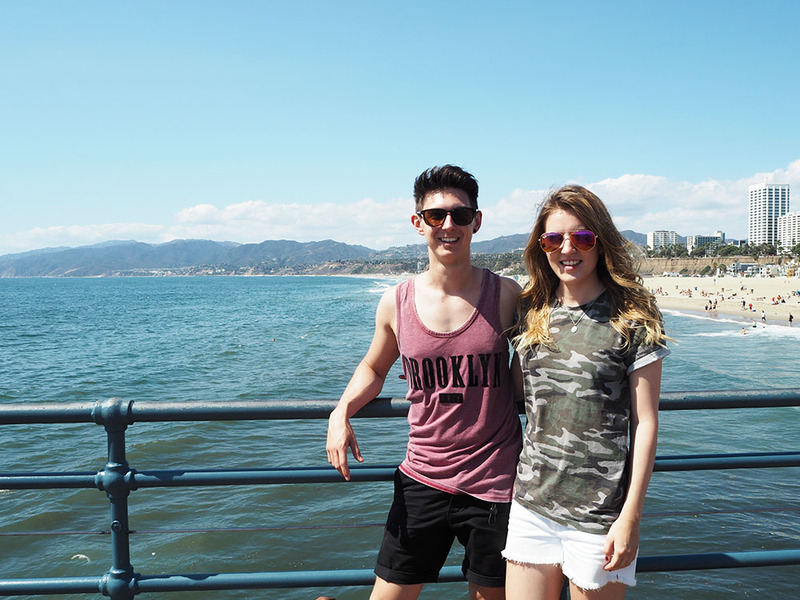 After arriving back from our trip we briefly hit the pier to take a few must-do photo op moments, but next on our agenda was Venice Beach! 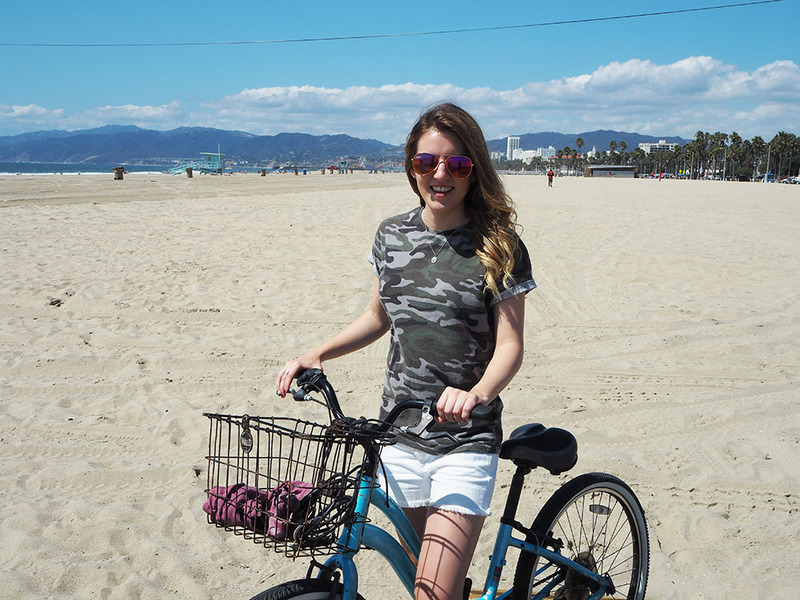 I had read that it was only about a mile along the beach front to get to Venice Beach, but after seeing so many people taking the quicker option, we decided that hiring bikes had to be done! We went to Sea Mist Rentals, purely because it was right next to the pier and loads of people were hiring from them. You do need cash, and leave ID and $20 (I think) as a deposit, but it was super cheap. I can’t remember the exact price but you pay by the hour, and when we came back at the end we had been about an hour and a half but thought we would have to pay for a full hour. Luckily for us the guy only charged for the actual time we had used. 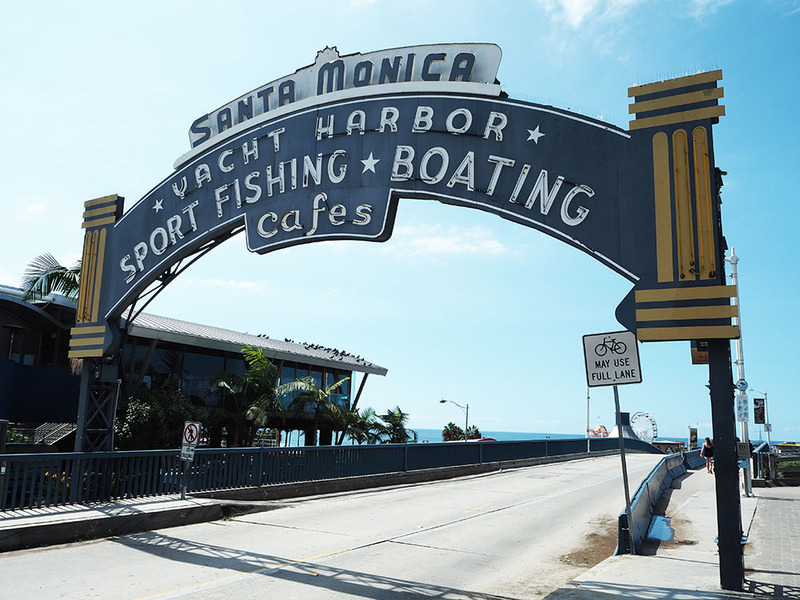 Definitely check them out if you fancy hiring a bike in Santa Monica. You can also get a basket on the girls’ bikes, which ended up being stuffed to the brim with Luke’s bag and clothes, typical! 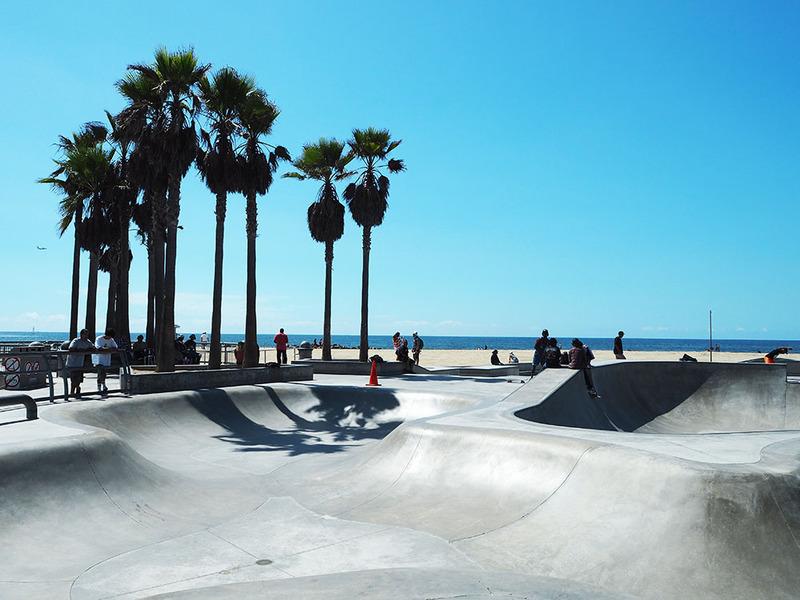 It only took us about 10-15 minutes to ride to Venice Beach and its such an easy and beautiful ride along the beach. I am so so so glad we did this and I would definitely do it again, only this time I would wear a bikini top because I was absolutely roasting in that t-shirt! 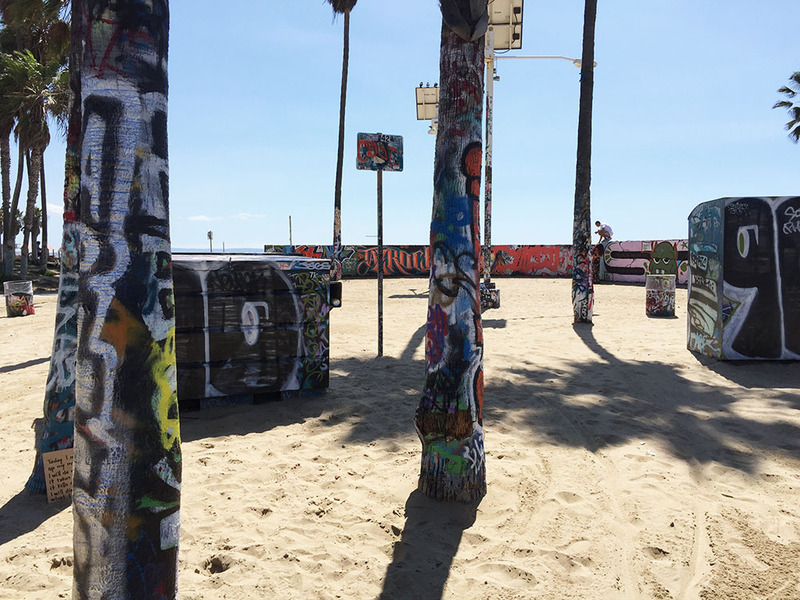 We stopped to see the classic sights in Venice Beach like the skate park, and the graffitied trees. 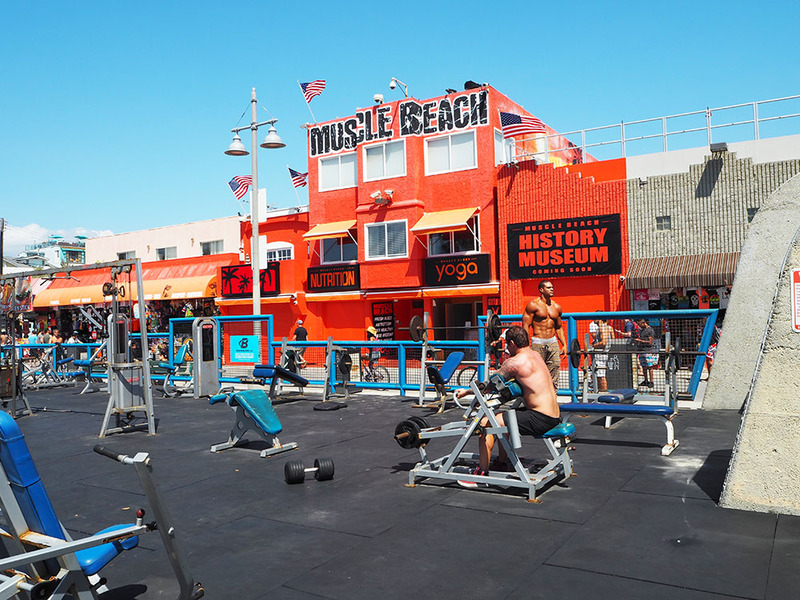 And obviously Muscle Beach! The people that go there are clearly exhibitionists that want people to check them out. The guy standing up over on the right of the picture was posing for photos with people, but with a body like that, who could blame him! And we obviously had to dip our toes in the sea so we could say we had been in the Pacific Ocean. Hello pasty white feet. 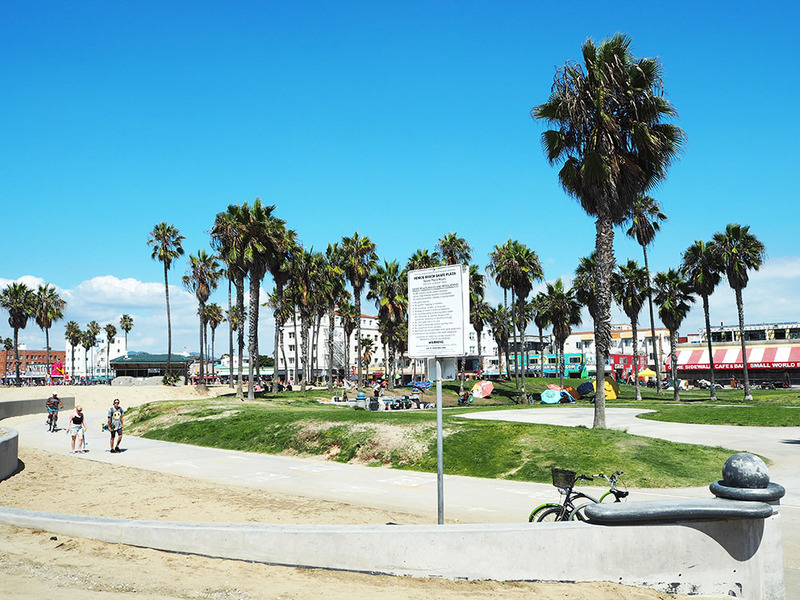 On a beautiful day like this, I wanted to stay so much longer in Santa Monica. I mean that beach is just incredible! 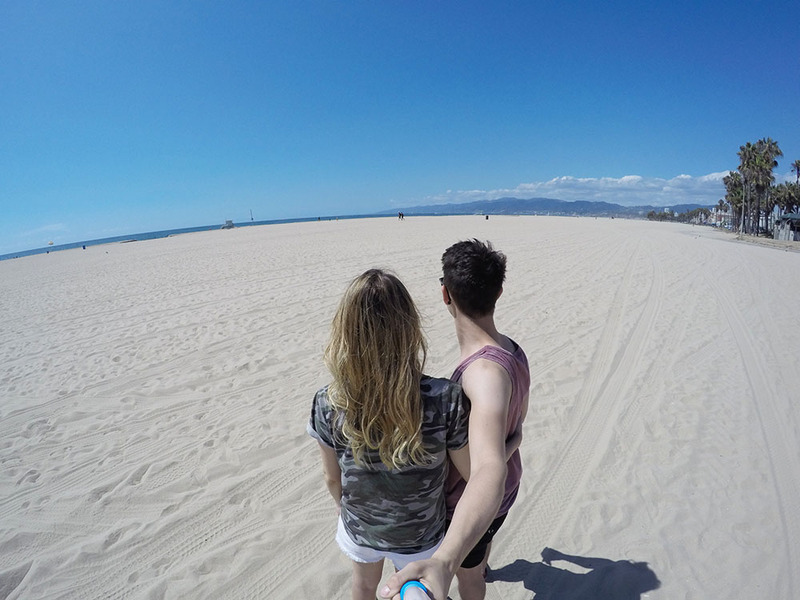 Sadly we had to leave for our next adventure, off to Palm Springs we go!